If there is one part of the recycling process that is not only complicated, but also hard, it is the part of separating and sorting the recyclables. 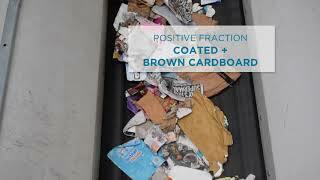 Effective recycling relies on effective and efficient sorting. Separating the different elements found in waste streams is crucial for enabling the recovery of useful materials, minimizing the amount of material sent to landfill and allowing recyclable materials to find a new purpose. There is a wide range of sorting and separating technologies on the market today. Find manufacturers of separation and sorting systems in our Equipment Guide. Since 1959 Goudsmit Magnetics designs and manufactures magnetic separators, non-ferrous and sensor separators for recycling & recovery of ferrous and non-ferrous parts as well as weakly magnetic metals with the possibility to test samples of your materials in our own test center. Sense2Sort Toratecnica is specialized in sensor based sorting equipment for metal sorting applications in recycling. The company leads in automated spectroscopy sorting technologies, such as XRF (X-Ray Fluorescence) and LIBS (Laser Induced Breakdown Spectroscopy), offers all common sensor based sorting technolges and consults on plant design. TOMRA Sorting Recycling designs and manufactures sensor-based sorting technologies for mixed waste management industries including metal, plastics, MSW, etc. With over 5500 systems installed in more than 80 countries, TOMRA machines extract high purity fractions from waste streams and maximize yield and profits. A And A Magnetics, Inc.
Lewis M. Carter Manufacturing, Inc.
PICVISA MACHINE VISION SYSTEMS, S.L.